The Peace River has shaped our heritage for centuries. It once served as a major route of year-round travel for First Nations People, and later was renowned as the main route of Western Canada’s lucrative fur trade in the 1700s and 1800s. Whether it was flowing or frozen, it carried canoes and dog sleds for many of the explorers, voyageurs, First Nations People and the Metis in our region. 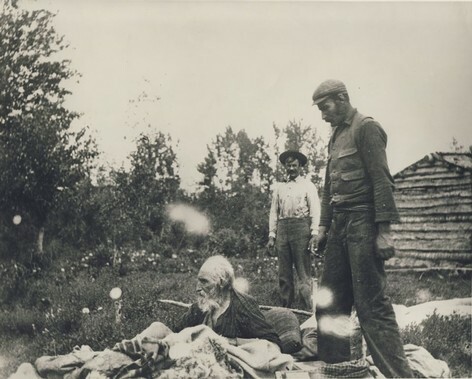 As freighters, trappers and traders, guides and interpreters, the local Beaver, Cree and Metis were essential to the survival of the Euro Canadian explorers and early settlers. Peace River’s legacy is due not only to the beautiful country, but also to the stalwart lives of our early settlers. They all shared one thing in common; each of them fell in love with the land that we now call Peace River. 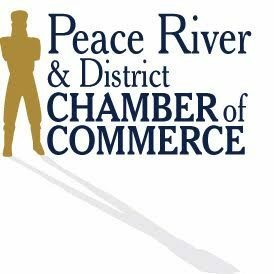 The town and community commemorate these men and women for their works as we strive to carry on their work and passion for the Peace River Region. Alex Mackenzie, and his team of seven were the first European explorers to venture into the Peace region. He wintered at Fort Fork, the first fort on the upper Peace. His explorations paved the way for those that followed him into the western territories. These European traders were in debt to the First Nations men and women along the water routes of the Pacific for their survival. The Museum holds a display dedicated to Alexander Mackenzie and the early fur trade, bringing to light the challenges the men and women faced and the lifestyle they led. A federal cairn, dedicated in 1929 may be seen along the Shaftesbury Trail, across the Peace River from the original site of Fort Fork. Henry Fuller Davis is best known as “Twelve Foot Davis”. His legend emerged as this Vermont gold enthusiast took his luck to the Omenica gold rush in the BC Mountains. His stake of a twelve foot wide piece of land between two rich claims was a great success, amounting to more than $15,000. This along with subsequent successful years provided him with the finances to start a trading company along the banks of the Peace River extending from Fort Vermillion to Hudson’s Hope to become major competition for the Hudson Bay Company. His legacy lies not only in his efforts of making Peace River what it is today but also in his outstanding character. He is remembered as hospitable, friendly, shrewd and tough. Though short in stature, his character stood 12 feet tall. James Kennedy Cornwall was one of Davis’ close friends. While spending time on the hill above the town, Davis told “Peace River Jim” of his desire to be buried here. When Davis fell ill on a business trip and died soon after on Sept. 13, he was buried near Lesser Slave Lake. Ten years later, Jim fulfilled his promise and Davis’ body was returned to the land he loved and where it now rests looking over the Smoky, Peace and Heart rivers. 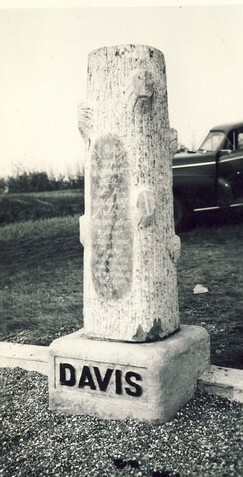 A cedar statue carved by Kaj Neilsen, a famous Canadian woodcarver, also commemorates Twelve Foot Davis. This statue can be found in Riverfront Park to help inspire our community to live as tall as Davis. Originally from San Francisco, William Greene moved in his later years to Hudson Hope and then to Peace River after the First World War. He was a practicing dentist here, but also held medical and engineering degrees. But his true reason for staying in the Peace Region was his love of the land. “It’s a grand country, mountain sheep to hunt, bears, deer, moose – everything. There’s a whole world to explore when you’re in the mood. I can close up the office and go away for months with a tent, some grub and a gun. That’s happiness.” And he often did just that, disappearing for months for house calls, hunting or visits to the United States. Today, a Provincial Park which he petitioned for himself as a nature and wildlife preserve was renamed after him to remember his love of the land and of hunting. It extends along the valley of the Heart River towards Nampa. 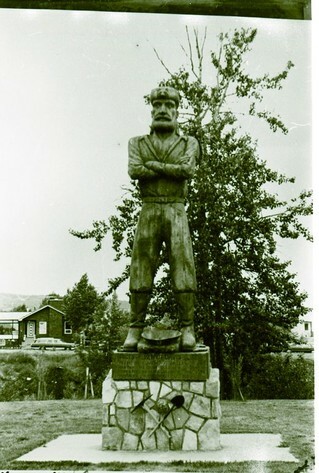 In the hills east of town, there is a cairn erected in his honor by the Masonic Lodge of Peace River, of which he was an active member during his life. We remember him as one of our own, who fell in love with the land for its beauty and worked hard to brighten our community. Chickalee was a determined and unique Beaver Nation woman known to many people of Peace River. 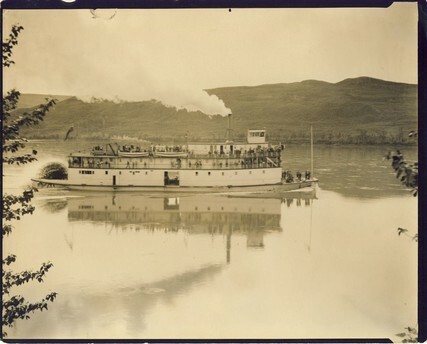 She was Number 28 to accept Treaty (8) with the Peace River Crossing Band in July 1899. She was married twice in her lifetime first to Guillaume Bell in the mid-1800s, and when he passed she then married Jean Baptiste (Johnny) Le Pretre, July 5, 1914, at St. Augustine Mission, Shaftesbury Trail. There was much celebration and there was even a gun salute in honour of the marriage. Chickalee gave birth to one child named Louise in 1893, who was the first student to attend St. Augustine Mission School. 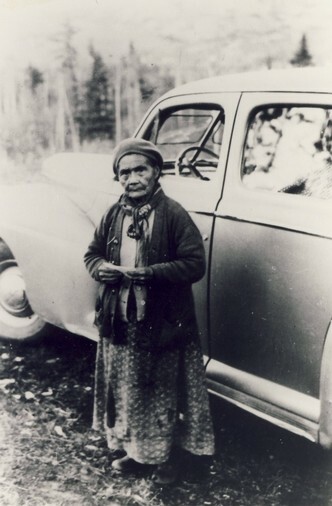 Angelique (Chickalee) IsKwesis Bell Le Pretre died at Hotel Dieu hospital, Whitelaw, December 23, 1958 at the ripe age of 108. She now rests in Peace River’s Mount Pleasant Cemetery. 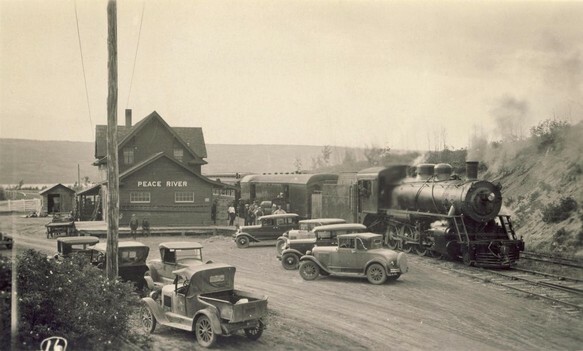 The Peace River & District Chamber of Commerce and Peace River’s Tourist Information Center are both housed in the Northern Alberta Railway (N.A.R.) Station. This building is a Provincial Historic Site that was restored following a fire and reopened in 1992. It is the last Class “C” station in all of northern Alberta. The train station was originally built in 1916 for trains carrying passengers and freight to and from cities, including Edmonton. 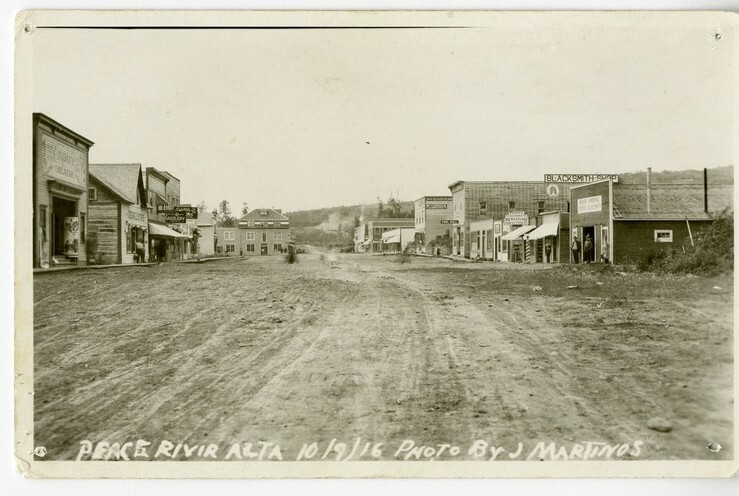 Peace River had an immense market with flowers, grain and other resources that were sent out. Once people arrived by train in Peace River they would either settle here or board one of the many boats headed up or down the river to find another settlement. Following the fire much as possible was restored. The floorboards in the Tourist area of the building as well as the wall facing the tracks outside are examples of this. The restoration was done in the 1920s style with the Ladies Waiting Room, Ticket Office, General Waiting Room and the Freight Room. Additional features such as the size of doors and windows, as well as lanterns in some of the rooms instead of electrical lighting help keep the building in the 1920s era. The many artifacts on display are from the Museum and allow people to see what things were like in the 1920s. This building is part of our community’s past and helped it grow and prosper into what it is today. The D.A. Thomas was built in 1916, by an English investor. It was designed to transfer coal and oil out of the region and was eventually sold to the Hudson’s Bay Company. Historically lower West Peace was a shipyard, and gave birth to the wood fueled steam ship. This ship would travel from Fort Vermillion all the way to Hudsons Hope stopping along the way at wood and small communities. The ship was a luxury for passengers. It was advertised as having linen service and was known for its parties, where the passengers would dance to live music. Whenever this ship came to Peace River it was a huge event! Students would come running from their classes and everyone would gather around to welcome the travelers. It was almost like a festival with all the excitement in the air, and all of this happened at what is now Riverfront Park! Historically, Riverfront Park was full of warehouses and shops and it was a very busy place. There are models of the D.A. Thomas at the N.A.R. 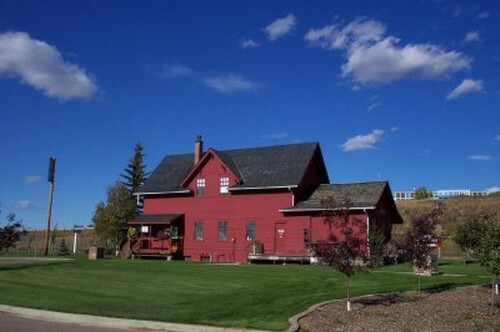 Station and at the Peace River Museum. Thank you to the Peace River Museum, Archives & Mackenzie Center for these photos.